I'm a reporter in Washington, D.C. and spend most of my time in the weeds of policy debates. I cover the environmental beat for Mother Jones magazine, which was named the 2017 National Magazine of the Year. My work has been published in more than a dozen other outlets in print and online. I am a former staff writer for The New Republic and an ex-editor for Grist, after getting my start at ThinkProgress. I've written for magazines like Monocle, BookForum, and In These Times, while my writing has been reprinted by Huffington Post, Newsweek, Wired, Slate, Wired, City Lab, and the 16 outlets that partner through Climate Desk. I'm also, of course, on Twitter. 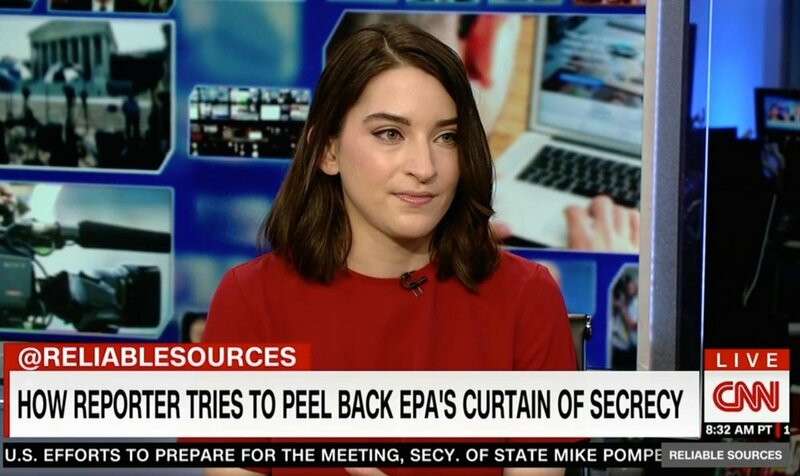 I've written extensively on public lands, climate science, energy markets, and international climate policy, while my beat in the Trump administration has focused especially on making an opaque EPA more transparent. I profiled EPA administrator Scott Pruitt for the cover story of the March/April 2018 Mother Jones issue. In 2017, I uncovered an EPA contract awarded to a Republican firm that specialized in war-room style media monitoring. The story led U.S. senators to call for investigations into the unusual nature of the no-bid contract, and dozens of outlets to follow up on the story. Ultimately, the contract was canceled after the public scrutiny. I've also helped unearth the first and only known time Donald Trump had ever publicly backed a global climate accord and pushed for strong action—in a forgotten ad campaign from 2009. Months after he signed his name to the ad, Trump reversed his stance to become the climate change denier we know him as today. In 2017, I was recognized alongside many of my favorite writers as one of the 10 top environmental journalists in the country. If you've read this far, congratulations! If you want to get in touch, check out my contact page.